You better buckle in and make sure your deck is fully sleeved, because the new Commander Cast season is off and rolling. You can tell its all new kids on the block this go around by the abundance of jean jackets and British Knights high tops. I go by the mysterious internet alias of Chris-B, and I will be a contributing author this season. 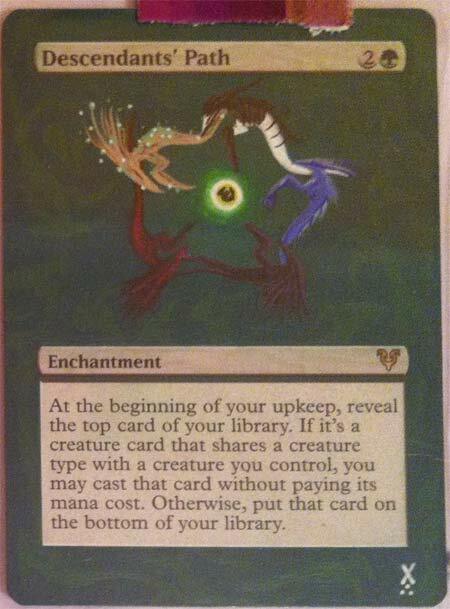 In the coming weeks Massive Art Attack will be serving up the very best and worst of MTG art, as well as some sweet altered art cards. 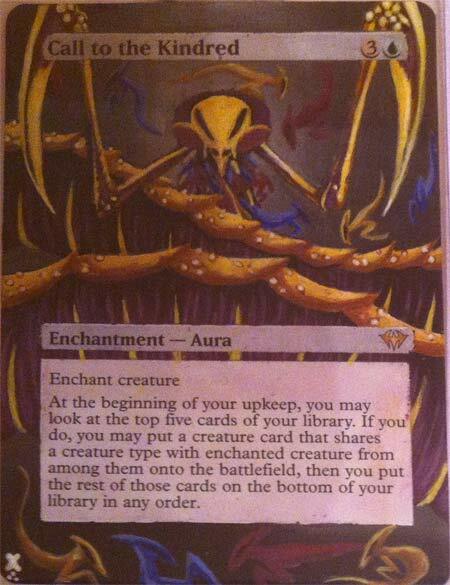 If you are a vorthos, or if you just enjoy hilariously bad art, you’ve come to the right place. It’s Captain Clearhorse and his anatomically correct steed. 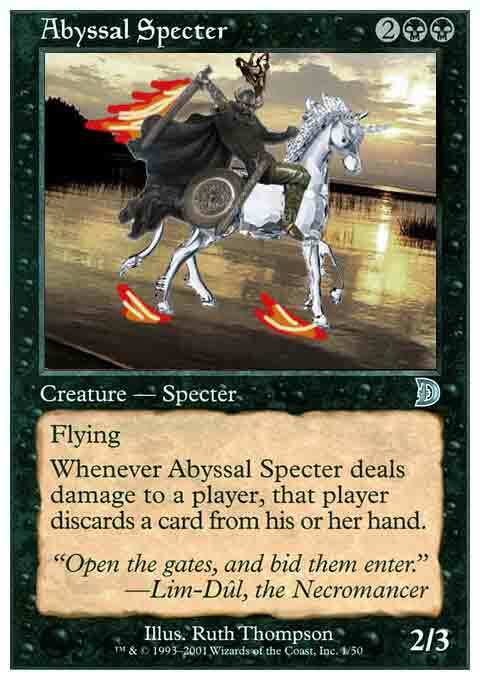 Abyssal Specter: A flying demon rides his hellsteed into battle. The demon should be wearing a helmet with tree roots jammed into it, because, you know, the devil or something. He wields a hell axe spewing hellfire. The hellfire should be drawn with some colored pencils to make it exceptionally frightening. 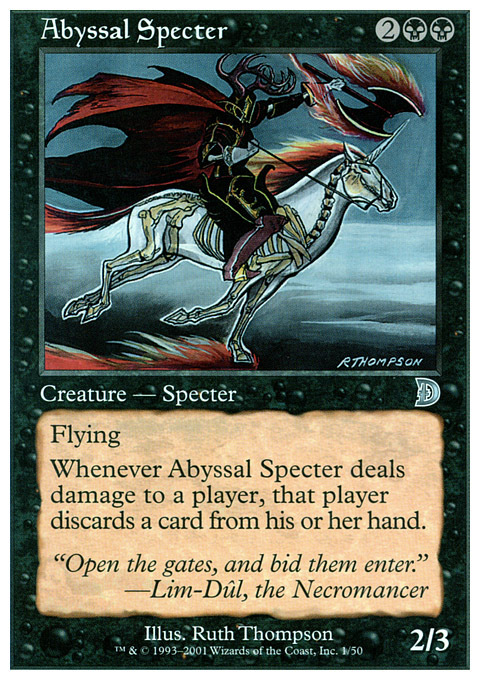 The steed also should incorporate the same colored pencil flames for consistency, just go wild here. Also make sure the steed is actually a unicorn. Put a big old unicorn horn on it. The unicorn should be made of clear Jello with some horse bones floating around. Everyone loves looking at pretty pictures, so send in those alters that are adding that personalized touch to your deck. Next week, for my first full article, I’ll be taking a look at some of the artistic successes and disasters of the Ice Age expansion. If your alters are from Ice Age, you get internet bonus points for sending them on over. Thanks for reading and may your Jello horse burn eternally.